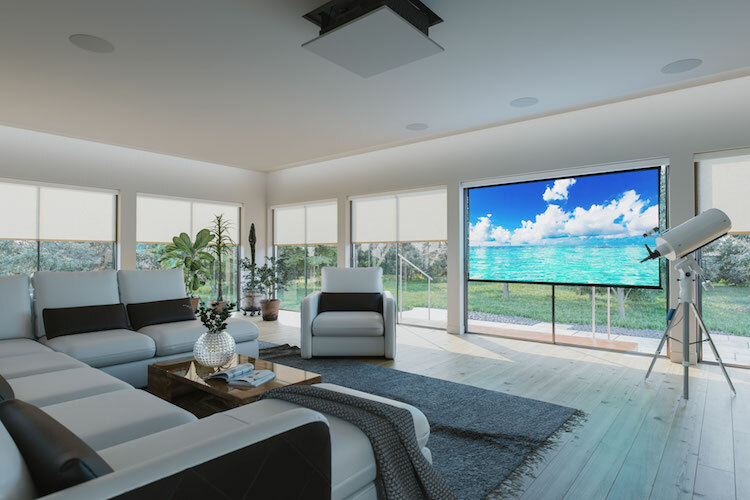 Screen Innovations (SI) has created an all-new, completely re-designed version of its Solo motorized screen that is 17-percent smaller than the original, but with a much wider array of options such as sizes up to 160 inches diagonal and nearly any power option imaginable. Touted as the smallest cassette ever made, the original Solo was designed as the first motorized screen solution to fit into the design of a room and was capable of being easily carried and installed in less than five minutes by a single person. The Solo 2 family still includes a rechargeable wireless or wired low-voltage power, but also adds a new wired AC option and multiple control connectivity possibilities, including RTS and RS485. Additionally, Solo 2 is capable of reverse orientation, a highly requested feature that enables users to drop their screen in front of an existing flat-panel or wall-art without obstruction concerns. In addition to the design-oriented features of the original Solo screens, such as 12 designer-selected color options, one of the most notable was the rechargeable motor option – a patent-pending design that uses a magnetic charging port to recharge a lithium-powered motor. For the rechargeable option, running wire is not necessary and recharging is only required once every two years by simply “clicking” the magnetic cable to the charging port. Material options have not skimped either with options such as Slate, SI’s popular optical (ambient-light rejecting) material, and “Short Throw,” making Solo 2 the world’s only motorized screen with an optical material specifically suited for ultra-short-throw projectors. Additionally, SI has included its white and gray materials, which are also rated for 8K projection and reproduce the purest possible image.